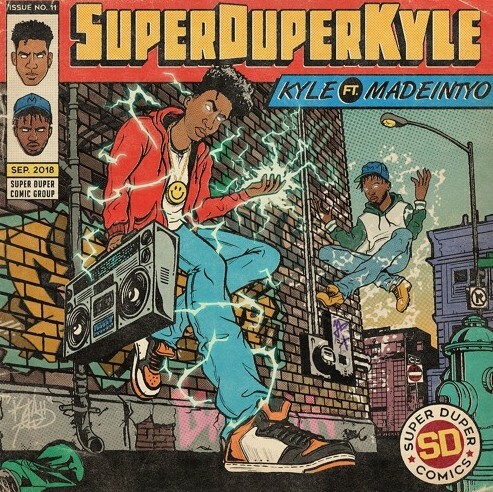 Since the first time I listened to KYLE I understood he had an incredible ability to create unbelievably catchy melodies and he has only got better with time, and he continued that trend with his latest release “SUPERDUPERKYLE” featuring Madeintyo! The hook on this one was undeniable and it carried most of the track, complimenting KYLE’s verse as well as Madeintyo’s impressive contribution perfectly. Every single one of KYLE’s songs gets stuck in my head for the rest of the day and I think it’s about to happen again, anyway stream this brand new tune below and if you like it be sure to follow him on Soundcloud here.